Order in 20 Hours 47 minutes 36 seconds for dispatch tomorrow! 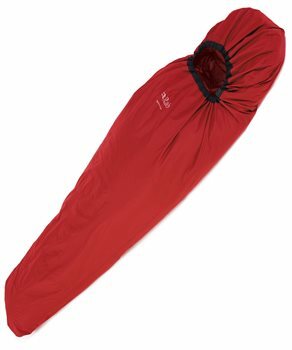 The Survival Zone Bivi is a light-weight sleeping bag cover with extremely small pack size, ideal for emergency protection. Made using a light-weight 70D Hyperlite Storm fabric, the Survival Zone Bivi is designed to pack away exceptionally small and can be stored in your emergency bivi back without taking up vital space. Very good bivi. The weight is very reasonable and the packaging is quite small as well so you don't need to be afraid to carry it with you. Very reasonable price. Keep your breath out and you won't have problems with condensing of vapour inside. If it's raining, turn the breathing hole to the mat so that it doesn't rain into. I'd welcome a bit bigger hood for hiding my backpack against the robbers. But that's another type of bivi. It could be also introduced in less visible colours (green) and have reflective stickers. Conclusion - very good product, I recommend.